Xi'an Changyue Phytochemistry Co., Ltd.
Shijiazhuang Jianhe Biotechtech Co., Ltd. 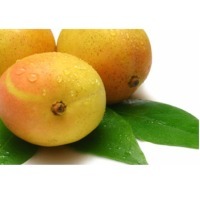 Specifications: -Proanthocyanidins 99% 95% -Polyphenols 95% 90% 85% 80%; -Oligomeric Proanthocyanidins 15% 20% 30% 40%; -ORAC8000-18000umol/g (Brunswick Lab Tested), -Water soluble GSE 8-10g dissolved in 100ml purified water 25oC Latin Name: Vitis Viniferal L. Appearance: Fine Red Brown Powder Part of the Plant Used: Seed CAS No. : 84929-27-1 Introductions: Proanthocyanidin (PA or PAC), also known as procyanidin, oligomeric proanthocyanidin (OPC), leukocyanidin, leucoanthocyanin and condensed tannins, is a class of flavanols. Proanthocyanidins are essentially polymer chains of flavonoids such as catechins. One was discovered in 1936 by Professor Jacques Masquelier and called Vitamin P, although this name did not gain official category status and has since fallen out of usage. It was Masquelier who first developed techniques for the extraction of proanthocyanidins from certain plant species. Polyphenols are a group of chemical substances found in plants, characterized by the presence of more than one phenol unit or building block per molecule. Polyphenols are generally divided into hydrolyzable tannins (gallic acid esters of glucose and other sugars) and phenylpropanoids, such as lignins, flavonoids, and condensed tannins. Why Choose ORAC Grape seed P.E.? Antioxidants are compounds that have the capacity to neutralize reactive oxygen species. Oxygen free radicals generated by oxidative and other biochemical pathways are the main cause for a number of degenerative diseases. Antioxidants act as radical scavengers, and convert the radicals to less reactive species. The imblanace due to the presence of excess free radicals and lower antioxidants causes oxidative stress and many chronic health problems such as cancer, atherosclerosis, myocardial infraction, senile cataracts, and rheumatoid arthritis.Research indicates that GSE Proanthocyanidins/Polyphenl has strong Antioxidants. Its antioxidative is 50times than Vitamin E, and 20times than Vitamin C. Advantage of Our ORAC Grape seed P.E. : Jianhe Biotech's ORAC Grape seed P.E is extracted via purified water, which can keep the activity of Proanthocyanidins and Polyphenols. The ORAC Value is tested by famous Brunswick Lab. It can meet 8000-18000umol/g. Fuctions: 1.Anti-oxidant,anti-aging 2.Cardiovascular diseases 3.Anti-cancer Shelf life: Two years according to storage condition. Package: Packed in Paper-Drum and two pieces of plastic bag inside. N.W. : 25kg/drum Storage condition: Sealed in well-closed container and avoid moisture and light. Grape seed extract Proanthocyanidins 95% . 25kg/drum. Short on time? 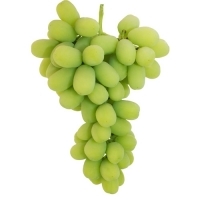 Let grape-seed-extract sellers contact you. 1. Name of Product: Grape Seed Extract 2. Active Ingredients: Proanthocyanidin 3. Specification: UV 95% 4. Main Function (1). Anti-oxidation, scavenging free radical, preventing skin aging and UV radiation; (2). Protect the brain and nerve tissue from oxidation; (3). Maintaining capillary and artery vascular health, enhancing the tension of vascular and reducing the risk of cardiovascular disease. (4). Reliefing PMS problems, and alleviating wound, edema from injury or trauma, viricose veins, lower limb swelling and retinopathy. 5. Application (1). Applied in pharmaceutical field, it is used to treat cardiovascular disease; (2). Applied in health products field, it's made into capsule,and it has already become one of the top ten salable natural plant extact products and owns the reputation of "natural health care product" and "orally cosmetics" in America; (3). Applied in food field, it's added into cake and cheese as nutrition enhancer and inartificial preservative; (4). Applied in cosmetic field, it's the main efficacy factor of toning lotion or cream. It has the efficacy of refirming, crease resisting and freckle curing, it can make skin smooth, exquisite and be full of flexibility. 6. We also produce Rhodiola Extract, Mulberry Extract, Amarogentin, Icaritin, Blueberry Extract, Polygonum Cuspidatum Extract, Lycopene, Green Tea Extract and so on. 7. We have passed ISO9001, KOSHER CERTIFICATE and HALAL, also we have the USA FDA register number. Now, we are committed to pass the HACCP and GAP Certificate. And we are also Alibaba Golden Supplier; we can do commodity inspection. 25Kg/Fiber Drum, double plastic bag inside, with carton outside. 1Kg/Bag, aluminum foil bag vacuum packing. English name: Grape Seed Extract Latin name: Vitis vinifera L. Specification: 95% Active ingredients: Proanthocyanidin (OPC) Actions: It is an proven antioxidant, and it help fight the effects of everyday stress, healthy cholesterol levels, healthy blood pressure, Vein and capillary health. The package: 2.5 kg/bag, double vacuum packing inside, 25 kg/carton or according to customer requirement. 1.Product Name:Plant Extract--Lycopene5%-90% 2.Latin Name:Lycopersicum Esculentum. 3.CAS NO:502-65-8 4.Plant Origin and Distribution Tomato, Solanaceae, tomato subgenus. It is annual or perennial herb, originates from South American, and now is widely cultivated in China. The tomatoes we used come from Xinjiang province, which have characteristics like high productive capacity and adequate quality. Thus, the steady supply of raw materials, high yield and low cost can be guaranteed. 5.Part of Used:Fruit-Tomato 6.Active Ingredient:Lycopene 7.Specs Available:lycopene powder: 5%-90%, oil: 5%-90% 8.Appearance-Reddish brown power, Reddish brown oily liquid 9.Molecular Formula:C40H56 10.Odor:Characteristic 11.Main Function Plant Extract--Lycopene is a kind of carotenoid, it owns stronger anti-oxidation , and protects the body cells from oxidative damage. Main functions are as follows, (1) It has effect like resisting cancer, decreasing tumor, slowing down the speed of the proliferation of tumor. Especially it has better preventive and inhibitory effect on prostate cancer, uterine cancer, pancreatic cancer, bladder cancer, colon cancer, esophageal cancer, and buccal cancer. (2) It has effect of regulating blood lipid. Its stronger antioxidant action can prevent the LDL (Low Density Lipoprotein) cholesterol being destroyed by oxidation, which can alleviate atherosclerosis and coronary heart disease symptoms. (3) Anti-radiation. Prevent skin being damaged by ultraviolet radiation. (4) Anti-aging. Enhance human immunity. (5) Protecting cardiovascular system and preventing getting heart disease 12.Application : Plant Extract--Lycopene's antioxidation effect is three times of B-carotene, and 100 times of vitamin E. It is widely used in food, health care product, cosmetic, and pharmaceutical field. (1)Applied in food field, it is mainly used as food additives for colorant and health care. (2)Applied in cosmetic field, it is mainly used to whitening, anti-wrinkle and UV protection. (3)Applied in pharmaceutical field, it is made into capsule to prevent cancer, resist cancer,and anti-oxidate. 13.Shelf Life:1 years 14.Packing:25Kg/fiber drum 15.Storage:Store in cool and dry places. Keep away from light. 25kg/fiber drum. Hanzhong Tanyor Bio-technology Co., Ltd.
Gansu Xinhuikang Bio-tech Co., Ltd.
Xi'an Shengtian Biological Engineering Co., Ltd.
4. Anti-tumor activity 5. Promoting wound healing and tissue repair activity 6. Anti-hiv activity 7. Anti-inflammatory, resist radiation, and resist mutation 8. Improving visual function 9. Promoting hair growth, anti-aging 10. Promoting the beauty of excellent biological pharmacological activities Application 1. Cosmetic field, applied to be an efficacy factor of lotion and cream 2.Pharmaceutical field, used for treating cardiovascular disease 3. Nutrition and health care field, applied to be capsule as an 'orally cosmetics' product 4. Food field, applied to be an nutrition exhanancer and inartificial preservative 25kgs/drum, inner by double plastic bag, 1~20kg by aluminum foil vacuum bag. 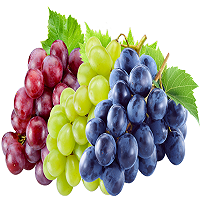 A Grape is the non-climacteric fruit, or true berry, that grows on the perennial woody vines of the genus Vitis which is deciduous. Grapes as a fruit can be traced back many centuries and there are examples of Ancient Egyptian hieroglyphics showing the cultivation of grapes for both food and wine. This continues to this day with grapes being eaten raw or used for making wines, juice, raisins and grape seed oil to name but a few. 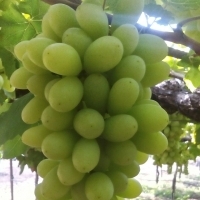 Grapes grow in clusters of 6 to 300 and can be a variety of colors; black, red and white (which is actually green in color) being the most common. We are one of the leading exporter of grape seed extract from india, our product are exported to the countries like usa, uk, south korea, malaysia etc. We are offering our product in bulk and private labelling. Guangzhou Haohai Trade Co., Ltd.
Shaanxi Fuheng Biotechnology Co., Ltd.